The good people at the Dana Press have been kind enough to send us an advance copy of Jonathan Moreno’s forthcoming book, Mind Wars. Since it is first scheduled for publication in November (in the US; December in Europe) I will wait a few months before recording my thoughts about it here on the blog, but rest assured that you wiil hear about this book again. 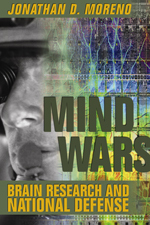 Mind Wars is the first book, as far as I know, to survey the American military’s use of, and involvement in, neuroscience research. Besides being a highly interesting topic in itself, this also makes the book the first neuroethics tome to really give an in depth picture of just how seriously Government and other parties are considering using neuroscience insights and methods to monitor and alter our brains. I predict it will make quite a splash in the press when November comes. For now I want to highlight a concept much toted by Moreno: dual use. Briefly, “dual use” refers to the idea that much brain research may benefit both medicine and military use. Consider brain-machine interface research. Clever devices by which a brain damaged patient, for instance patients with locked-in syndrome, can be made able to manipulate computers or protheses also can be used by soldiers to manipulate weapons and other war related artefacts. When promoting projects or seeking funding many military researchers therefore make a big deal out of stressing how putative results may turn out to benefit health care as much as warfighting. As Moreno points out a rather big chunk of the US neuroscience effort is either directly or indirectly funded by such dual use programmes. Also, even research with no overt military funding, and with no apparant relevance to warfighting, may end up being exploited by military authorities, as neuroscience journals are routinely perused by military authorities. Perhaps this knowledge ought to give pause to brain researchers. On the other hand, it should also be noted that it is often only because of money coming from the military’s budgets that important research is being done in the first place. So the ethical connundrum of dual use is not quite that simple. In reality, when it comes to neuroscience, “dual use” should probably be a very general and basic concept. It is hard to imagine any result stemming from our inquiry into the brain – perception, memory, motor control, etc. – which cannot be used both for both “good” and “bad”. Of course, you could say the same about many other forms of scientific results. But being the seat of the soul the brain is really the dual use organ par excellence, and we ought to think more about the problems dual use raises. What are the implications of the latest advances in neural prosthetics, electronic implants and robotics for humankind? It started with attachments to the body – the watch, the hearing aid – now we are working with nerves and the brain, having the brain operate motors and activators. 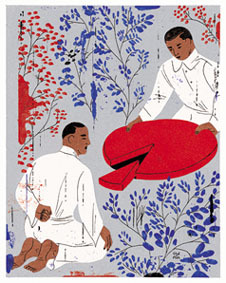 Combining man and machine can be used to save lives, but where does it end? Download the mp3 file directly here (mp3 file) or get the transcript here.